The ErgoKiwi is handcrafted in our studio in Boston, MA. Materials are as unique as the individual, each Kiwi material has been chosen for its dynamic physical properties. 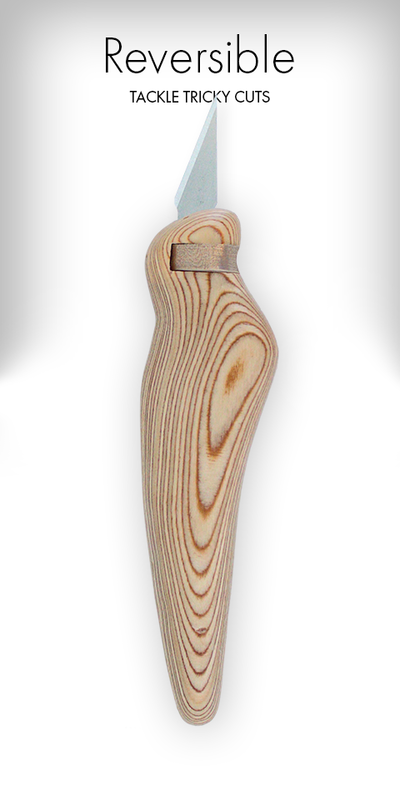 Our Plywood model is by far our most popular handle. Made from airplane-grade plywood, each Kiwi is comprised of 104 interlocking layers for maximum durability. This kiwi is sealed with 3 layers of polyurethane, then finished with 1,000 grit to highlight the beautiful grain unique to this industrial material. 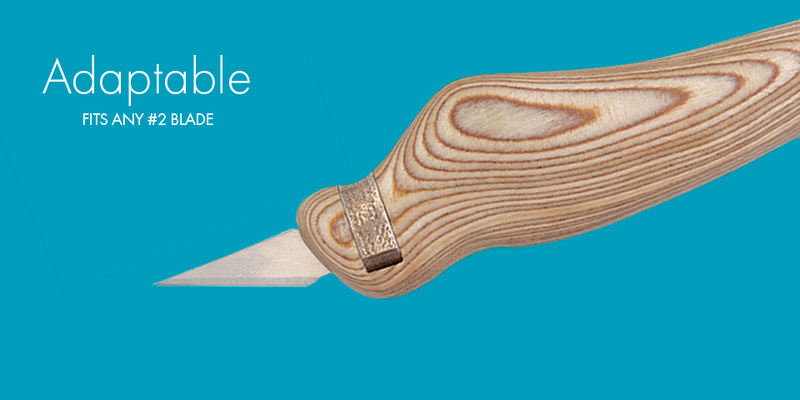 People commonly admire the tactile experience of picking up the Bocote Kiwi. Bocote is a hardwood native to Central America with one of the most beautiful grain patterns we have ever seen. It is naturally a heavier hardwood, which is evident when holding this Kiwi. Interesting fact, when cut, the Bocote secretes a resin that hardens to protect the fibers within. As a result, it dulls all of our bits and takes much longer to cut. Alas, this has always been our favorite handle, the one we work with everyday.